The first of 4 teachers is selected to receive a “classroom makeover” in Nampa. Gold Buckle Champions is recognizing the Legends amongst us, and received a nomination for a Ronald Regan elementary teacher, Anita Field, who teaches kindergarten. Mrs. Field will receive a $200 classroom makeover from Gold Buckle Champions, and they have not had a hard time finding volunteers to help make it happen. The parents of her students are eager to sing her praise. The nomination letter was the inspiration for us to go one step further and turn this into a community project and allow 3 more teachers to receive a “classroom makeover”. With the Snake River Stampede Community Festival, all business and individuals are asked to show their support by placing a “Stampede Wooden Horse” up for the 100th year celebration. 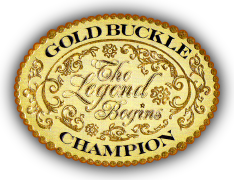 Gold Buckle Champions are involved with their Western Heritage Art project. The art project is defined by our western heritage, where nothing went to waste and we created usable art from it. 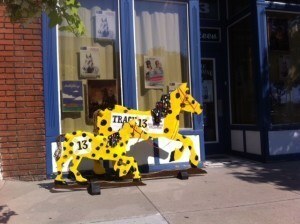 All of the classrooms of Nampa are invited to decorate a horse that will be judged and sold after May 20th. 1st place prize will be $500, 2nd $300, and 3rd, $200. The horses will be furnished by Gold Buckle Champions and Karcher Mall has donated an unused space for us to decorate these horses in on Saturdays. All monies received from the project will go towards funding the Legends in the Making programs. Jonni Maurer of Nampa was the one to nominate Mrs. Field and this was her letter to us. I would like to nominate Anita Field as a legend in her own time, for your western heritage project, for her abilities to reduce, reuse, and repurpose. Living in Nampa I was terrified of sending my daughter to a Public School. As a parent we all think our children are special, but I knew my daughter’s love of learning and her musical & artistic talents needed to be embraced. Through research and having been warned by others that in public schools, lack of funding for music & art was being drastically decreased through the years, in addition to the recent big budget cuts, and felt that a charter or parochial school would be our best option for her. I put applications into 6 different charter schools and toured a parochial school close to our home. Our current budget didn’t allow us to pursue the parochial school option so that left me with PRAYING, wishing and hoping that her number would be chosen in the charter school lottery. I became more and more anxious the closer it came to the drawing and finally relinquished control over to a higher power to know where the best place would be for our daughter, and believe in the rule of ‘Everything happens for the right reason and at the right time”. Lottery day came and went and as I received word that we didn’t get into any of the charter schools I was devastated. In my despair my neighbor tried to encourage me that Ronald Reagan Elementary, our designated school, had been a great school for her children and told me how wonderful a certain Kindergarten teacher, Mrs. Field, had been. I left our conversation hopeful that we would be placed in this praised woman’s classroom but we would then have to wait out the summer to find out whom our daughters teacher would be. We attended the annual Open House event to welcome the students back into the school year and were able to show our daughter her new surroundings, this event is mostly for 1-6 graders to meet their teachers as the Kindergarteners have a special time to come in for a brief evaluation of entry skills. 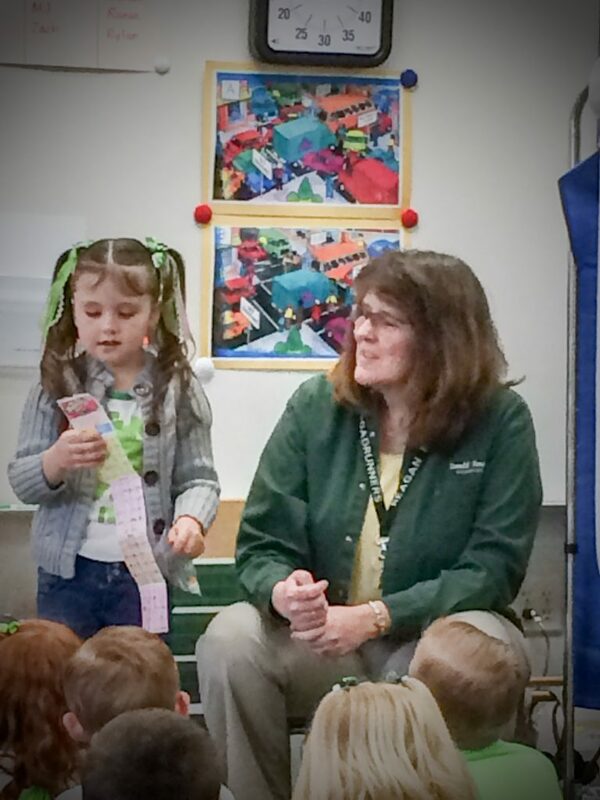 I was then able to check with the front office to see where she had been placed and was relieved (or maybe a little overjoyed that we had finally caught a break) to learn that Mrs. Field would be her teacher for the year. At the Kindergarten Meet & Greet my first impressions of Mrs. Field were 1. Experienced 2. Firm but Kind 3. Resourceful 4. Visionary 5. Great Knowledge 6. Someone who lets the children learn at their own pace. She gave the parents a list of different ways to support their children throughout the year to encourage higher learning, listed times we were welcomed to come and assist in the classroom, and in addition to giving a brief synopsis on her curriculum for the year. The first two months of the year the parents were instructed that with kindergarten, being a very big transition for children in learning a whole new routine and taking direction from someone else other than a parent, that assisting as a volunteer in the classroom would be restricted. For the next few months I would lovingly quiz my daughter each afternoon on her day and she excitedly would share all the new songs, artwork, letters and shapes they were being taught…sometimes I would even learn new simple songs/rhymes to help remember shapes or in describing how to draw letters. After that initial two month timeframe I was eager to volunteer in her classroom to peak into an actual teaching time & of course see her interact with all her new friends. After the first time of volunteering in Mrs. Fields’ classroom I remember leaving and thinking of how she was so consistent and supportive of all of her students, impressed by how thoughtfully she handled a few behavioral situations and ultimately I was grateful for where we had ended up. I was eager to continue working twice a month in the classroom as I saw how much of a need there was for an assistant. Over the next few months I enjoyed getting to know Mrs. Field personally as well. I learned that this was her 18th year as a kindergarten teacher, she is helping the Ronald Regan’s other kindergarten teacher in her first year, that her husband was also a teacher, in fact this was also her daughters very first year of teaching as well! In the 18 years of teaching Mrs. Field has accumulated many supplies for teaching arts, crafts, reading, math and the like. With her being a resourceful person I noticed that in her classroom nothing goes to waste and many scraps are used for other projects. Even prepackaged leftover snacks are held onto for those students that are unable to bring in snack for whatever reason, either financial or just simply forgetting. To quote her as saying “you never know when you are going to need this again” and with many years of accumulated “stuff” I want to nominate Mrs. Field for a classroom makeover to help in organize all the “stuff” and help include other parents who have graciously agreed to help out such a fantastic teacher who has positively touched so many children’s lives.